Research has shown that jet fuel can be produced using desert land and sea water through an innovative agricultural process. The project supports the UAE’s diversification plans and commitment to sustainability. 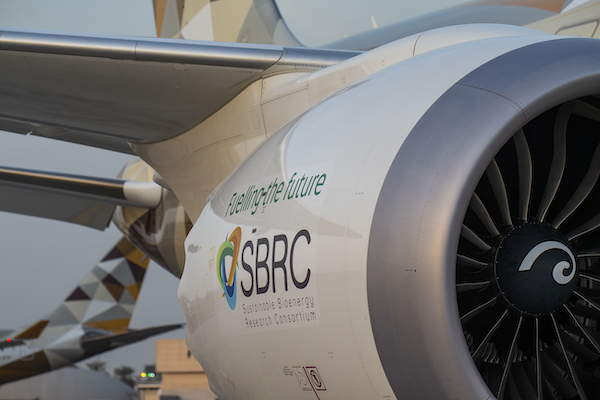 The Sustainable Bioenergy Research Consortium (SBRC), a non-profit entity established by Masdar Institute that is part of Khalifa University of Science and Technology, today announced the world’s first commercial flight using locally produced sustainable fuel on an Etihad Airways Boeing 787 powered by GE’s GEnx-1B engines. Using sustainable feedstock to produce the fuel significantly reduces life-cycle carbon dioxide emissions compared to fossil fuel. 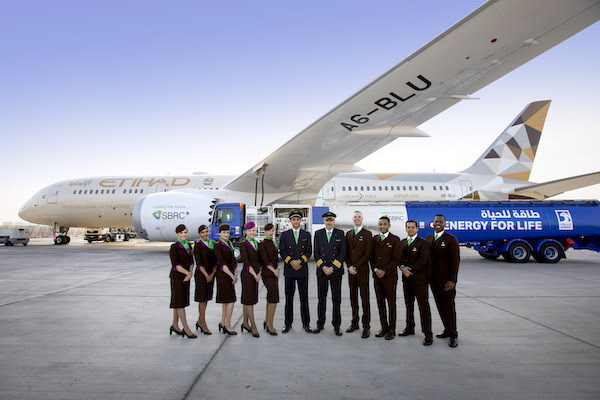 The biofuel is blended directly with jet fuel and does not require any modifications to aircraft, engines or airport fuelling delivery systems. The unique initiativealso bolsters the oil and gas industry by using existing refining infrastructure, with the potential to become an important new option for sustainable aviation fuel in the future. Over the course of the next few years, the system is expected to scale up to 200 hectares in the move towards full-scale commercialimplementation.